Yellow Cab of Broward County is the leading provider of taxicab transportation in Broward County. Yellow Cab values innovation that results in the highest level of service to its passengers, and is constantly improving its level of service through cutting edge technology. 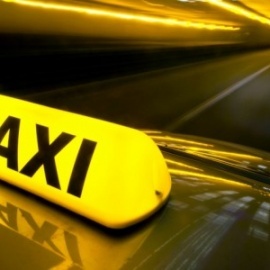 Yellow Cabs include GPS closet cab dispatch, electronic credit card processing, free downloadable Android and iPhone applications, booking a cab through text messaging, and receiving a text message on your smart phone to let you know when your cab is close by. Our credit card swipe is in the back seat so that you are always in control of your card. Our air-conditioned late model vehicles are inspected weekly to insure safety and a comfortable ride. Yellow Cab's fleet features late model sedans, wheelchair accessible mini vans, and eco-friendly hybrid vehicles. We are here for you 24/7/365! North, south, east, or west, Deerfield to Hallandale, the beaches or to the Everglades, in Broward County, we have you covered. Download our FREE App: 4MY-CAB FL. Credit cards accepted in every vehicle.